We believe we have something for every occasion at Lizzielane, including contemporary Sence Copenhagen bold rings, timeless leather bracelets and long necklaces, effortlessly easy-to-wear Joma Jewellery, as well as classic pieces from Hultquist, Danon, Pilgrim and Tutti & Co – Plus we have our collection of beautiful Summer earrings, available in silver, rose gold and gold (like the gorgeous Hultquist starfish studs) ready for a fun day at the beach. 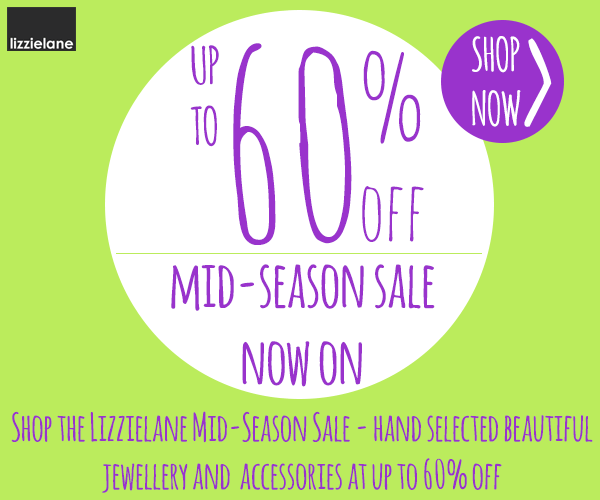 With savings of up to 60% on beautiful hand selected jewellery and accessories it’s time to grab yourself a bargain in the fabulous Lizzielane Mid-Season Sale! Included are pieces from your favourite designer collections such as Danon, Estella Bartlett, Hultquist, Joma, Pilgrim, Sence and Tutti & Co. THIS OFFER HAS NOW FINISHED !!!!!!!! We all do don’t we? That’s why when you spend £35 or more with Lizzielane Jewellery, as a thank you, we’ll send you this beautiful Joma Jewellery a little Friendship bracelet for free! 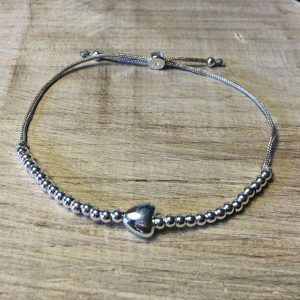 This lovely Joma Jewellery friendship bracelet is our gift to you when you spend £35 or more and features a small silver plated heart sitting pretty on a soft grey cord. It’s adjustable to fit most sizes and is presented on a gift card with the words ‘this friendship bracelet I give to you, because I’m lucky to have such a good friend in you’. Friendship is one of the greatest gifts we can give and this little bracelet is a thoughtful gift for the special friends in your life. To claim your Free Joma Jewellery Bracelet, simply spend £35 or more on any jewellery or accessories and we’ll automatically add it to your basket – it couldn’t be easier! We’ve taken a whopping 20% off our favourite jewellery essentials from this season’s stunning collections, so there has never been a better time to treat yourself – or someone special – to one of our “must have” bracelets, necklaces, earrings and more. Prices valid whilst stocks last or until midnight Monday 16th May 2016. E & OE. 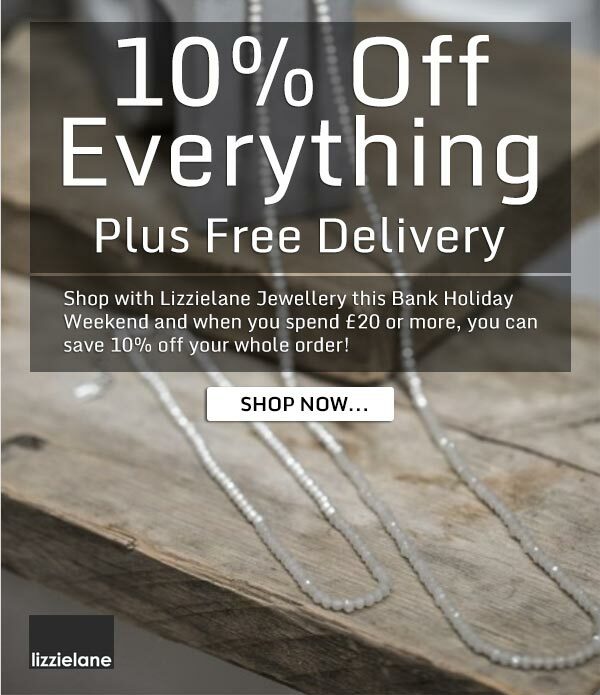 Shop with Lizzielane.com this May Day weekend and when you spend £20 or more, you can use discount code MAYDAY to save 10% off your total order, plus we’ll even ship your order for Free when you select UK Standard Delivery! To claim your 10% discount, make sure you enter MAYDAY where prompted on either the shopping cart or checkout page. Check out our latest video featuring the exquisite Danon Jewellery Hearts and Pearls Collection. Danon is one of our favourite designers and you can see why when you look at the Hearts & Pearls Collection. Teaming beautiful Freshwater Pearls with their signature Heart charm chunky jewellery pieces, Danon have created a collection of stunning jewellery that will feel special each and every time you wear it. We are really excited to unveil the new SENCE Copenhagen Spring Collection, featuring beautiful new styles of unique Scandinavian inspired jewellery. This season’s collection from SENCE brings a mix of subtle shades and vibrant new seasonal colours as well as a fresh take on some old favourites. 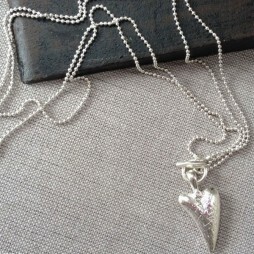 You’ll fall in love with the exciting new “Flutterby” Collection from Joma Jewellery. Featuring gorgeous rose gold butterflies, dragonflies and bees, the Flutterby Collection from Joma Jewellery is a new season must have! 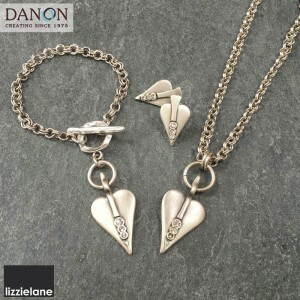 Beautiful Danon gift set which includes the gorgeous Danon Silver Links Bracelet with Swarovski Crystals Signature Heart, the striking Danon Silver Necklace with Swarovski Crystals Signature Heart Pendant and the stylish Danon Swarovski Crystal Silver Heart Stud Earrings. 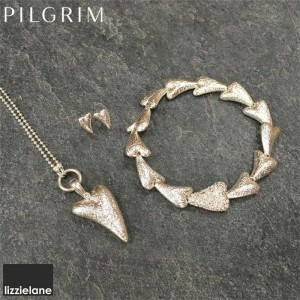 Featuring the sparkling Pilgrim Classics Silver Plated Textured Heart Crystal Bracelet, the gorgeous Pilgrim Classics Silver Plated Textured 2 in 1 Heart Necklace and stylish Pilgrim Classics Silver Plated Heart Stud Earrings. Mother’s Day is fast approaching and this year it’s on Sunday 6th March, so instead of the usual chocolate or flowers, why not give your mum some beautiful unique jewellery to show her how much she means to you this Mother’s Day? Choosing something special from our collections of designer, costume or fashion jewellery couldn’t be easier. We’ve put together a fabulous selection of gifts and jewellery in our Mother’s Day Gift Shop, featuring bangles, bracelets, necklaces, as well as scarves and earrings from our favourite designers including Danon, Hultquist, Tutti & Co, Pilgrim and Joma Jewellery. Shop any of our stunning collections of jewellery and accessories this weekend and we will give you 10% discount on everything when you spend £20 or more plus we’ll ship your order for free when you select free UK delivery. To claim your fabulous discount all you need to do once you finish shopping is simply enter the coupon code MD16 where prompted on either the shopping cart on the checkout page and as long as you’ve spend £20 or more the discount will automatically apply to all the items in your basket!